Today marked the 150th anniversary of the Battle of Gettysburg in the U.S. Civil War. 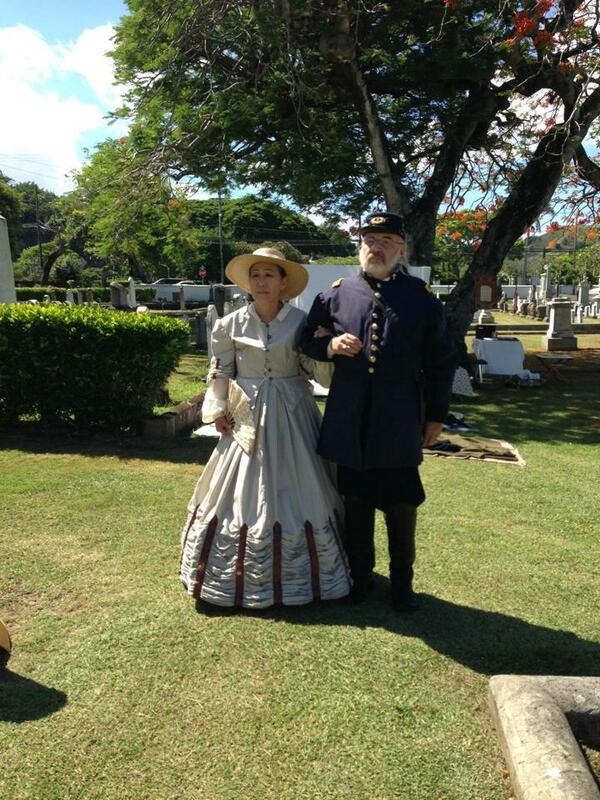 A public commemoration of the battle was organized by the Hawaii Civil War Roundtable in Oahu Cemetery near downtown Honolulu. One of the features of today's commemoration were presentation on the involvement of Native Hawaiians in the Civil War. We are especially indebted to Dr. Justin Vance of Hawaii Pacific University -who heads the Roundtable- and Nanette Napoleon, historian and researcher. Click here for photos of today's event. 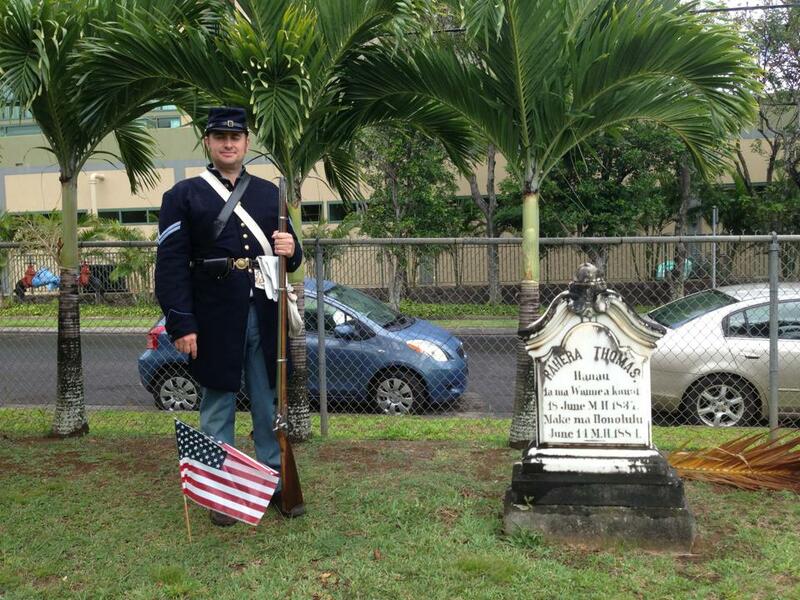 All images courtesy of Justin Vance and the Hawaii Civil War Roundtable. 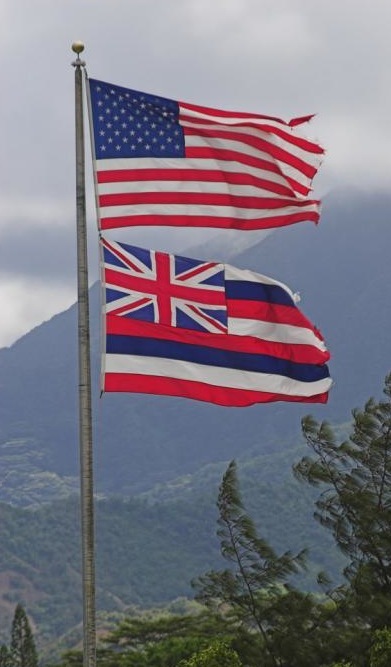 As we countdown to next week's July 4 Independence Day holiday we'll be posting selections from our July 4 in Hawaii History Blog. Today's selection is dated Honolulu, 1864 from The Friend, published by Rev. Samuel C. Damon. Please click here. Mark your calendars! The Hawaii History Bee and Bowl is returning! Mark your calendars! The Hawaii History Bee and Bowl is returning! The next series of tournaments in Hawaii will be held at Iolani School on Saturday, November 9. We welcome students and student teams from all of Hawaii's public, private and religious schools as well as homeschoolers from all islands to join in the fun and the competition. Please check back soon as details become available. History Education Hawaii is proud to have brought this dynamic competition to Hawaii two years ago, and to be its sponsor. Interested in becoming a sponsor? Please contact us. The National Council for History Education has announced its 2014 National Conference. It is scheduled for March 20-22, 2014 in Albuquerque, New Mexico. The national conference is a place where everyone who loves to teach and learn history can come together and share. NCHE encourages conference proposals that illustrate collaboration and history education. The 2014 theme is New Frontiers. Proposals are being accepted. Click this link to submit your proposal. -Fun and interesting enrichment excursions to museums and historic sites. -More than 70 breakout sessions and 3 keynote speakers. -Join more than 500 teachers, historians and university faculty for three days of the best in History education! -Connect with teachers from across the country who share your passion for History. Registration details can be found at this link. The Conference hotel is the Sheraton Albuquerque. Other travel information is here. Civil War expert Justin Vance, Ed.D., associate dean of Military Campus Programs at Hawai‘i Pacific University, will speak at a special program commemorating the 150th anniversary of the Battle of Gettysburg and its Hawai‘i connections. 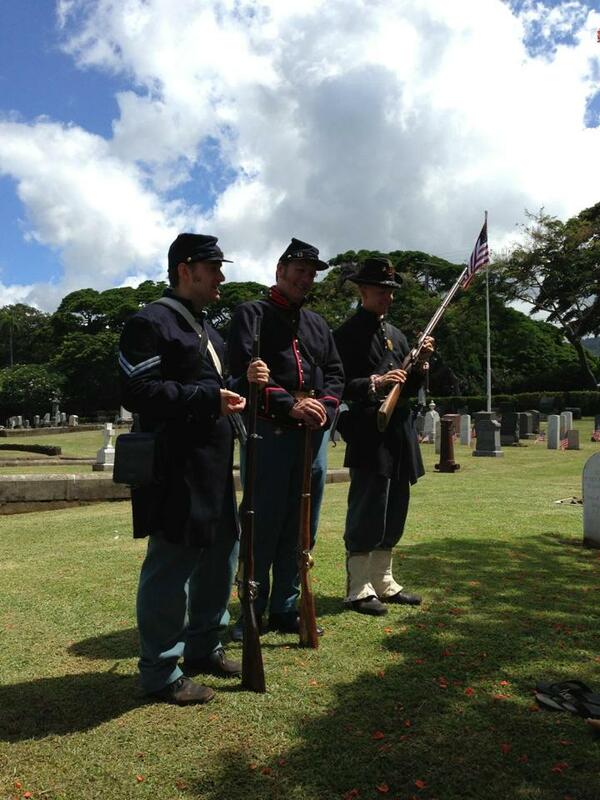 O‘ahu Cemetery and the Hawaii Civil War Round Table host this program on Saturday, June 29. 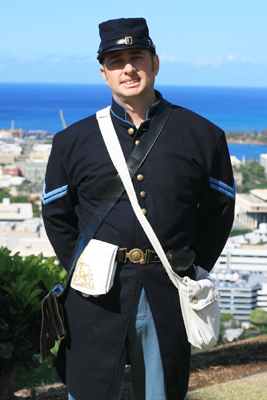 Vance, who also teaches history at HPU, will join other historians at the event, which will examine the storied U.S. Civil War battle and the men from Hawai‘i on the frontlines. "Our research shows that at least three men from the Kingdom of Hawai‘i fought at the Battle of Gettysburg," Vance said. Maj. Samuel Chapman Armstrong and Pvt. Nathaniel Bright Emerson served in infantry regiments in the Union Army and 1st Sgt. Allan Abbot Brinsmade served in an artillery regiment in the Confederate Army. Many people are unaware that people from Hawai‘i were involved in the war, noted Vance, co-writer of an article examining Hawai‘i and Hawaiians’ surprising roles in the Civil War, published in the history journal World History Connected. "About 200 people from Hawai‘i served in the armies and navies of the Union and Confederacy and as we approach the 150th anniversary of the most important battle of the war, it is fitting that Hawai‘i remembers her sons that served in that battle," said Vance. Vance will speak about the historic battle that waged July 1-3, 1863. "Gettysburg is the largest battle ever fought in the Western Hemisphere," he said. More than 157,000 infantry, cavalry and artillery men fought at Gettysburg, Penn. More than 50,000 men were dead, wounded, captured or missing, making it the most costly battle of the entire Civil War. The program will also feature a talk by noted local graveyard historian Nanette Napoleon about the Hawai‘i Sons of the Civil War, a memorial ceremony at the grave of Nathaniel Emerson, a visit to the Grand Army of the Republic (Union veterans) group plot where Civil War historian Bruce Barham will tell a true story about a lost and found watch at Gettysburg, and a recitation of President Abraham Lincoln’s Gettysburg Address. Afterward, participants can see re-enactors from the Hawaii Civil War Round Table, who will be encamped nearby and will talk about army camp life during the Civil War. Hardtack biscuits, which were a staple ration of soldiers, affectionately known as “jaw breakers” and “tooth dullers,” will be on sale. Proceeds will support the production of a documentary film, "Hawai‘i Sons of the Civil War," which Vance serves as an associate producer. The film is expected to be complete in early 2015 — see hawaiisonsofthecivilwar.com. 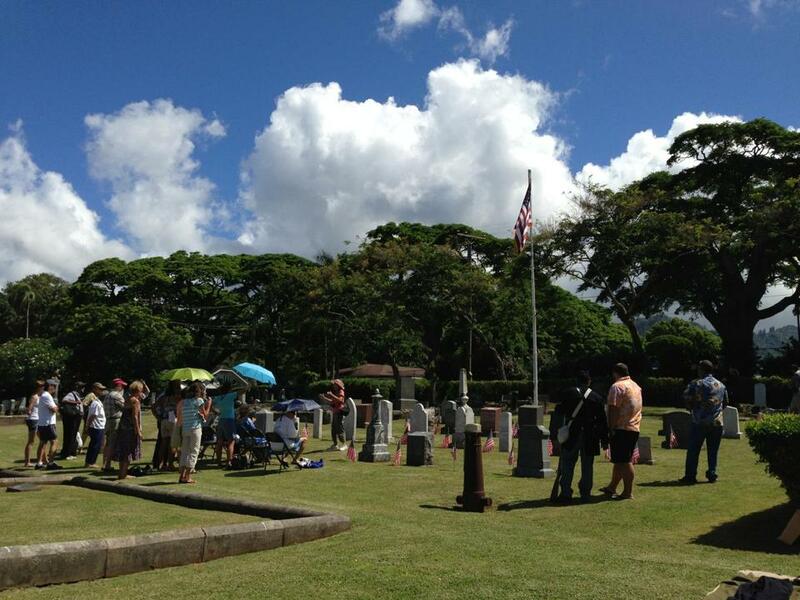 The June 29 event at O‘ahu Cemetery is scheduled from 9 a.m. to noon. Admission and parking on the grounds is free. For more information, contact Nanette Napoleon at 261-0705 or email nanetten@hawaii.rr.com. BlackPast.org is a10,000 page reference center dedicated to providing information to the general public on African American history in the United States and on the history of the more than one billion people of African ancestry around the world. It is online and available to everyone all of the time. 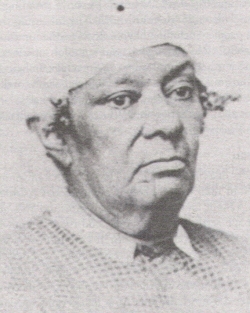 "Betsey Stockton was born into slavery in Princeton, New Jersey in 1798. She belonged to Robert Stockton, a local attorney. Presented to Stockton’s daughter and son-in-law, the Rev. 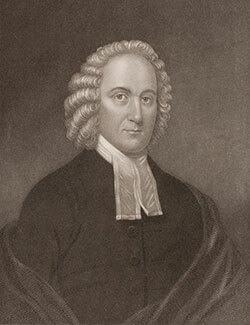 Ashbel Green, then President of Princeton College, as a gift, Betsy Stockton was now in a household that encouraged her ambitious and intelligent attitude. She was given books and was allowed to attend evening classes at Princeton Theological Seminary. "When Stockton expressed her interest in becoming a Christian missionary she was granted her freedom and accepted into membership by the American Board of Commissions for Foreign Missionaries. On November 20, 1822, Stockton and 20 other missionaries set sail from New Haven, Connecticut for the Hawaiian Islands. Upon her arrival Stockton became the first known African American woman in Hawaii." On the evening of July 2, 2013, the public is invited to attend the annual meeting of the Friends of the Judiciary History Center, 5:30 p.m. to 6:30 p.m. The location will be in Aliiolani Hale, the Hawaii Judiciary building across from Iolani Palace. On that evening, Anita Manning will share the intriguing story of Keaupuni, who traveled far from home for fortune, fame, and adventure. Manning is a historian who held positions at Bishop Museum as registrar and vice-president before dedicating herself to full-time research of untold accounts of everyday Hawaiians. 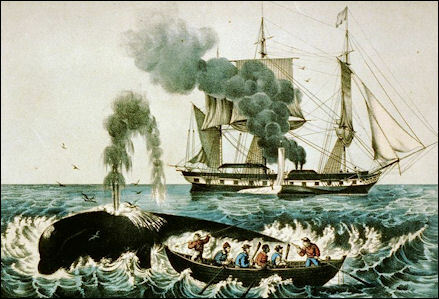 Hawaiians, known for their skill as watermen and sailors, joined whaling fleets for adventure and economic need that took them to ports unknown. Keaupuni or "Joe Maui," signed up for a whaling voyage on the ship Tahmaroo some time during the 1860s. A veteran of 16 years on the high seas, Keaupuni found himself the unsuspecting crew member of a whaler soon to become a slave ship. He was the key witness to testify in several trials against the captain and others who were charged with slave trading. Hear how Keaupuni made it home with the help of two young men from Hawaii. The complete story of Keaupuni will be published in the next edition of The Hawaiian Journal of History. To register for this presentation please go to this link. The award will be presented at the 2014 OAH Annual Meeting in Atlanta, Georgia, April 10–13. Please click this link for further information. History Education Hawaii strongly encourages the participation of Hawaii's history teachers. Good luck! The new Interim Issue of Common-place offers several tips for summer reading, including two reviews of books on the complications of race in America: Julie Winch’s The Clamorgans (reviewed by Jared Hardesty) and Eva Sheppard Wolf’s Almost Free (reviewed by Rebecca Goetz). In addition, Jennifer Brady reviews Bodies and Books: Reading and the Fantasy of Communion in Nineteenth-Century America by Gillian Silverman. All this, plus a new Poetic Research column by T. Zachary Cotler, and Episode 19 of Josh Brown’s graphic novella “Ithaca,” are available at http://www.common-place.org. National History Day has posted on its web site a comprehensive list of all of the 2013 winners. Click here. Though none of the winners hail from Hawaii, History Education Hawaii, Inc., its members, supporters and friends extend their sincerest aloha to all who participated in the 2013 competitions. What is National History Day? How did it originate? The 2013 National History Day competitions have concluded. Congratulations to the winners and all who participated! But have you wondered what National History Day is, and how it came about? Both are good questions, of course. Click this link for a short video. We at History Education Hawaii enjoyed this, and we think you will, too. We heard today from Will Fitzhugh, publisher of The Concord Review. Founded in March 1987 to recognize and to publish exemplary history essays by high school students in the English-speaking world, The Concord Review is the only quarterly journal in the world to publish the academic work of secondary students. With the Summer 2013 Issue (#97), 1,066 research papers (average 6,000 words, with endnotes and bibliography) have been published from authors in forty-six states and thirty-eight other countries. Nathaniel Bernstein of San Francisco, California: Bernstein, a senior at San Francisco University High School, published an 11,176-word history research paper on the unintended consequences of Direct Legislation in California. Gabriel Grand of Bronx, New York: Grand, a senior at Horace Mann School, published a 9,250-word history research paper on the difficulties The New York Times had with the anti-semitism of the day and also in covering the Holocaust. Reid Grinspoon of Waltham, Massachusetts: Grinspoon, a senior at Gann Academy, published a 7,380-word history research paper on the defeat of legislation to allow eugenic sterilization in Massachusetts. Emma Scoble of Oakland, California: Scoble a senior at the College Preparatory Academy, published a 9,657-word history research paper on the Broderick-Terry Duel, which defeated pro-slavery forces in California in 1859. Gen Shiraishi of Yokohama, Japan: Shiraishi, a senior at St. Maur International School, published a 6,994-word history research paper (in his second language) on the history of Christianity in Japan. Malcolm Steinberg of Washington, DC: Steinberg, a senior at St. Albans School, published a 5,838-word history research paper on the Astor Place Riots of 1849 between social classes over favored actors and the social politics of the day in New York City. Emily Yankowitz of Scarsdale, New York: Yankowitz, a senior at Scarsdale High School, published an 8,720-word history research paper on Robert Mugabe’s criminal regime in Zimbabwe. Since our original founding in December, 2006, History Education Hawaii has consistently advocated and encouraged Hawaii secondary students to submit works such as these to The Concord Review. We strongly encourage our island students, their teachers and advisors to rise to the challenge. Click this link for submission guidelines. Go here to subscribe. Today is Kamehameha Day, a state holiday throughout the State of Hawaii. While our office will be closed today our online presence, as always, goes forward 24 hours a day and seven day a week. We'd like to call attention to Historian Peter Young's blog posting today on the history of Kamehameha Day. Click here to read Ho`okuleana: La Ho`o-mana`o O Kamehameha I.
Kamehameha Day is a good day to remember the values Kamehameha expressed that apply to us today. As Adam Keawe Kinau Manalo Camp has written, "we should draw upon his discipline, his foresight, his humility, his love of acquiring knowledge, his broad-mindedness in maintaining all possible options, and his assertion to the rest of the world to be treated as an equal." While I was perusing today's edition of the online edition of The Washington Post a video caught my eye. In the section known as 'The FOLD: A New Way to Watch the News' there is a video entitled Remembering the War of 1812. It features an interview with Steve Vogel, the author of a new book, Through the Perilous Fight: Six Weeks That Saved the Nation. It is due for release tomorrow. Click this link to the official web site. The May 3, 2013 edition of the Washington Post features an excerpt of Vogel's book. Click here to read it. Go to this link to the Barnes & Noble web site. Here is the link to Amazon.com. You can also click this link for the official Facebook site. 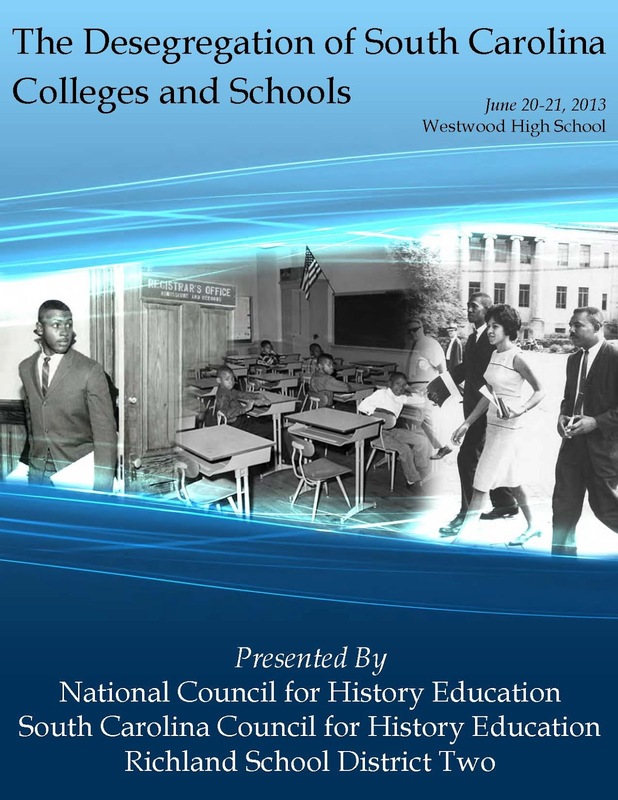 On June 20-21, 2013 the National Council for History Education (NCHE) will be holding its annual Civil Rights Conference at Westwood High School, Blythewood, South Carolina. Join NCHE and South Carolina State University as we look back on the historic events of the Civil Rights struggle and look forward to imparting those lessons to future generations. The post-World War II movement for civil rights was a multifaceted, multi-directed movement. Civil rights organizations specifically targeted the right to vote, desegregation of public facilities, desegregation of public education, equal protection under the law, an end to job discrimination, fair and equal housing and an end to violence towards African Americans. Each of the objectives or a combination of them was the focus of governmental policies, judicial decisions, new legislation or direct action on the part of civil rights organizations. Since many persons believed that improved educational opportunity was the most important means to improving the status of African Americans, leaders placed greater emphasis on it. The disparities between black and white education were glaring. In addition to having fewer schools, black schools in general were poorly funded, physically dilapidated, paid teachers less and did not update antiquated resources. Many civil rights activists believed that no equity could be achieved in a segregated environment, so desegregation of public schools became a major facet of the Civil Rights Movement. In the 1954 Brown v Board of Education decision, the Supreme Court ruled that segregated schools were unconstitutional. In its subsequent Brown II decision, it mandated that desegregation must proceed at “all deliberate speed.” Reaction to the decision was met with some sense of jubilation by proponents of desegregation, while opponents throughout the South pledged to fight the decision. Throughout the South, opposition to desegregation took the forms of administrative delays, court challenges, private school movements, violence and death. While South Carolinians opposed school desegregation, resistance in the state was relative mild in comparison to her sister southern states. The 12th Annual Hawaii International Conference on Education is scheduled for Sunday, January 5 to Wednesday, January 8, 2014. Here is the link to the official web site. Hawaii history educators and those from other academic disciplines are strongly urged to register. Click here to register. Please note that those who register by June 21, 2013 will pay only $350. The 2013 conference held in January was attended by more than 1300 participants representing more than 37 countries. A Call for Papers and Proposals has been issued. The deadline is August 9, 2013. According to conference organizers, "the main goal of the 2014 Hawaii International Conference on Education is to provide an opportunity for academicians and professionals from various education related fields from all over the world to come together and learn from each other. An additional goal of the conference is to provide a place for academicians and professionals with cross-disciplinary interests related to education to meet and interact with members inside and outside their own particular disciplines."